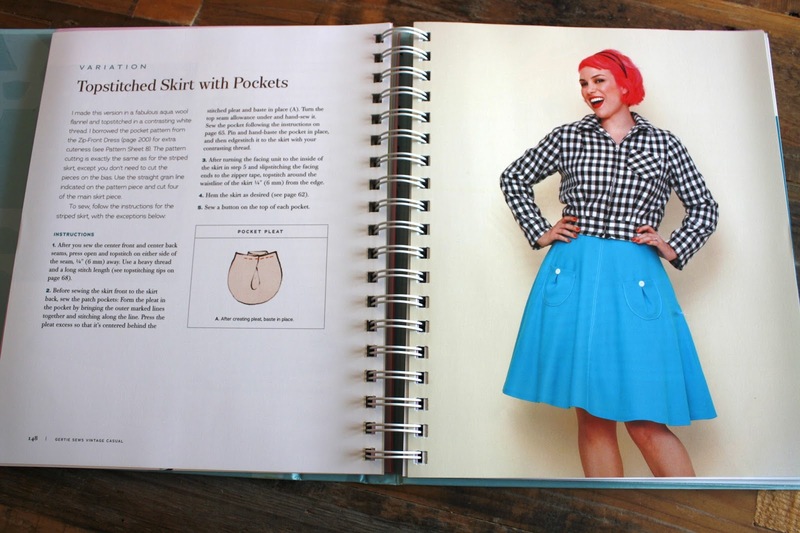 Gertie's New Blog for Better Sewing: It's Here: Gertie Sews Vintage Casual! 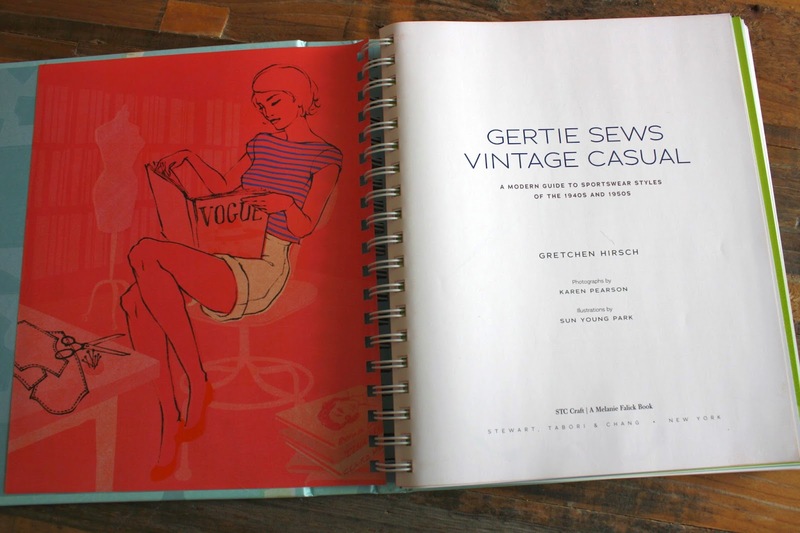 It's Here: Gertie Sews Vintage Casual! 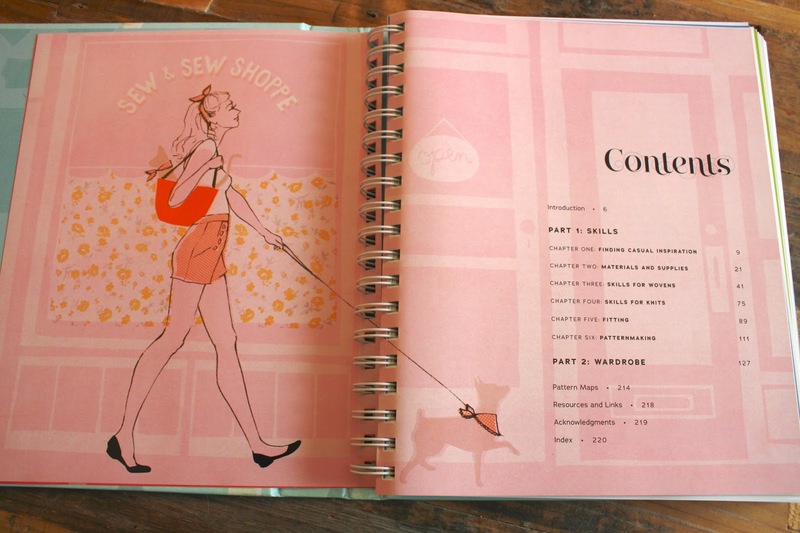 My new book, Gertie Sews Vintage Casual, officially releases in just 4 days! However, it does seem to be shipping early and some of you have reported receiving copies already. How exciting! To celebrate, I thought I'd give you a little sneak peek into some pages of the book. Illustrations are done once again by the amazing Sun Young Park. Just like in my first book, there are many illustrations of my beloved cat Henry hidden throughout. Rosie the dog also makes an appearance now! 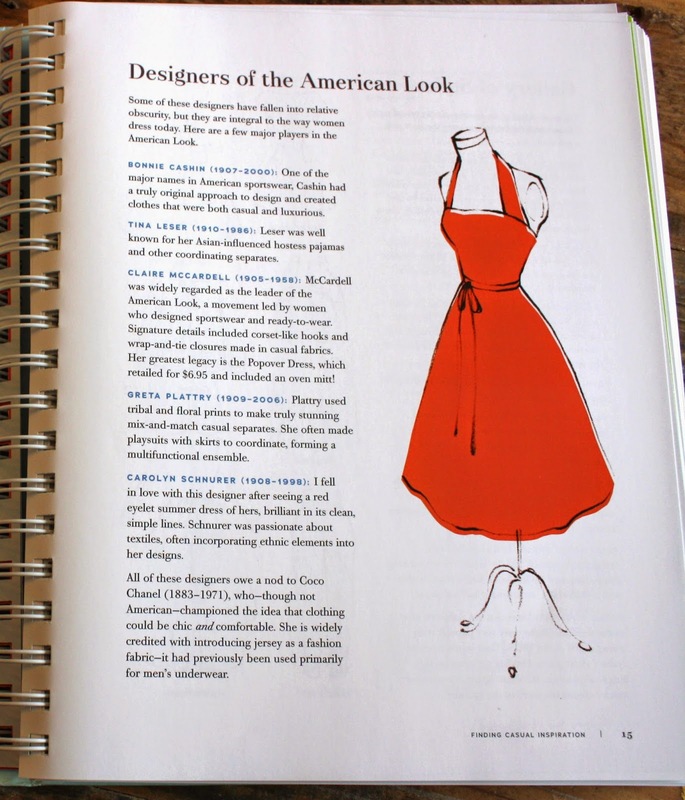 The book was inspired by the American Look, an era of practical yet chic fashion that spoke to women's everyday lives. There's lots of technique stuff. The emphasis is on solid vintage-style construction, with added content on knits and pants! And, of course, the wardrobe! Ten patterns are included on heavy duty paper. There are plenty of skirts and dresses, pants, jackets, tops, and sweaters. I had modeling help! Here's the Halter Top and Flared Skirt on gorgeous Atayla. The Sailor Blouse on lovely Dani. 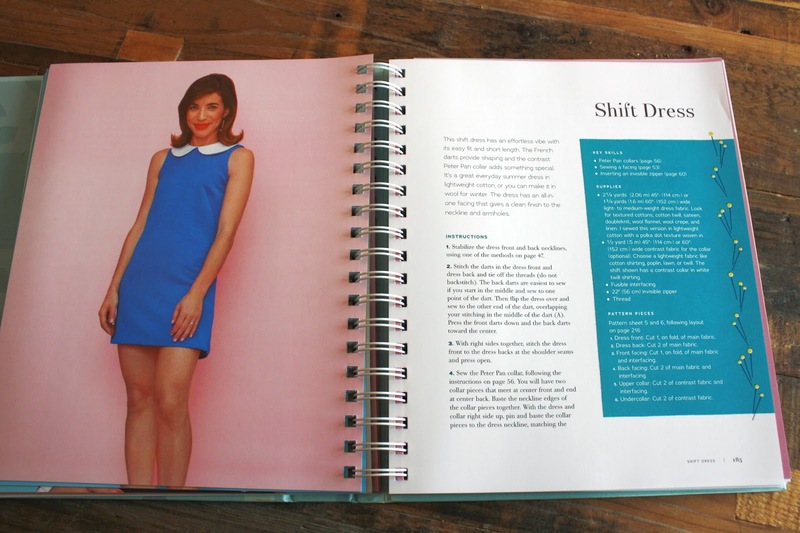 And the Shift Dress on my adorable friend Allyson. Here's the patterns and their envelope, which bound into the spiral spine. Look out for lots more info on the book. I'll be showcasing the patterns and garments, as well as doing a giveaway. A big thanks to everyone involved in the book! I CANNOT WAIT! I pre-ordered my copy from Amazon and have been running to the mailbox everyday in hopes that it arrives early like your last book. Maybe today!!! 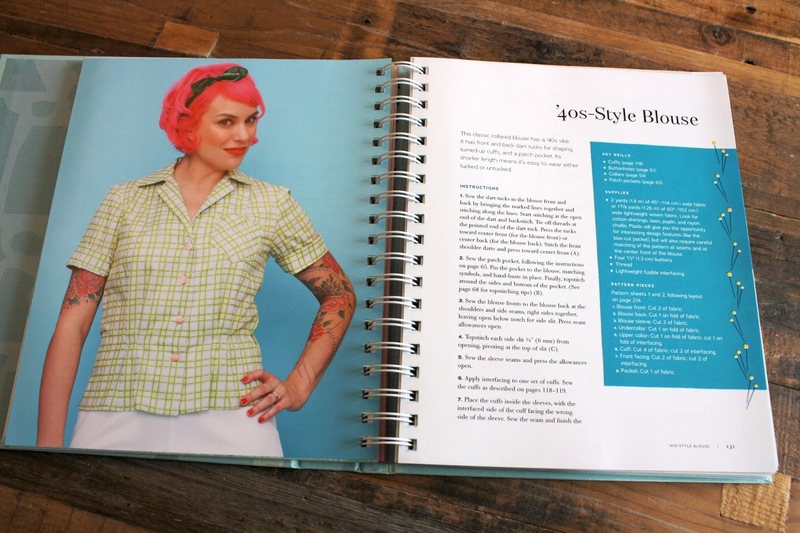 The pics are gorgeous and I can't wait to get sewing those pedal pushers. I need transitional garments for hot-as-Hades Texas! Very exciting! What's the sizing like? The book and all the patterns look gorgeous! I love the trouser variations, very excited to see the rest! I was going to ask weather this was available in the UK - this answers my question! awesome!! WAHOO! I'm so excited! I just pre-ordered mine from Amazon. Have ordered mine on Amazon can,t wait for it to arrive. What is the size range on the patterns? I've been looking for a good 40s style blouse pattern for AGES, but all of the vintage ones lurking around are wayyyyy too small for me and there haven't been any good reprints that I feel like would flatter me very well. Ooh... I've been holding on to a gift card from Amazon. Now I know exactly what I'll be doing with it!! I am happy to tell you I've got my copy this afternoon too. I wasn't quite expecting it yet, because I live in Finland. My local book store managed to get it in time! Thank you, Gertie, for this lovely new book! My copy arrived yesterday, I spent all evening pouring over the pages and patters, can't wait to make something from it. I'm thinking cigarette pants. 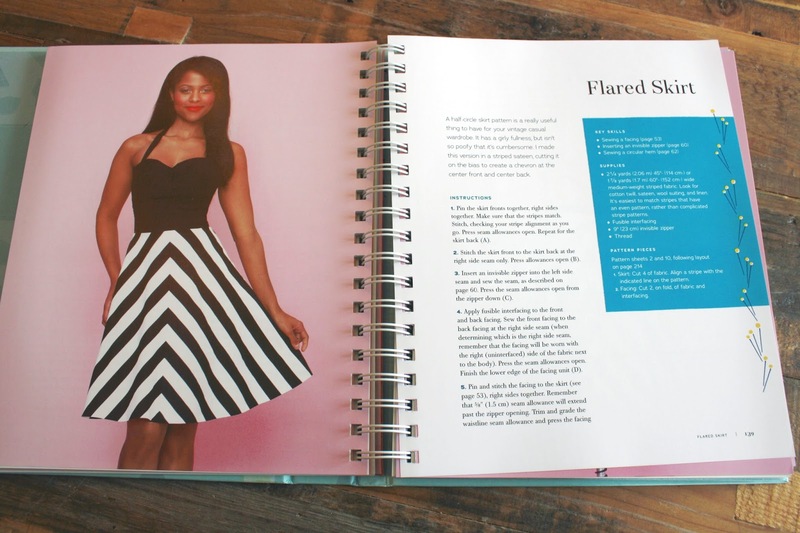 A patten book with stuff a lot of women would actually love to wear! A rare, rare thing providing what affordable ready to wear doesn't. Wishing you every success Gertie! Looks like a fabulous book! What pattern sizes does it include? Nice! Can't wait to look through this. Congratulations! Besides the clothes looking fab, I have to say I really love the fonts - excellent book design! I am so, so excited about this! 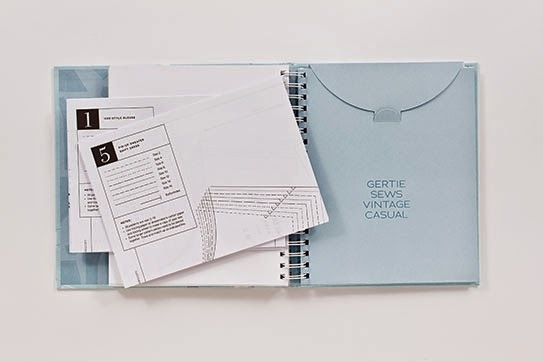 "Gertie's New Book for Better Sewing" is the book I reach for most often in my sewing library and I expect this one to quickly join it as an absolute must-have in my sewing room. Congratulations! Awesome! It looks like such a cool book. Congrats! I love your first book - look forward reading your next! I received my copy about two weeks ago (Netherlands) and I love it so much. I'm planning to make every item in it and have complete wardrobe overhaul. I actually told my postman that I loved him when he handed me my parcel from Amazon this morning. I love every single item in there, they're all styles that I've been looking for patterns for. My mind was immediately working overtime on what I could sew up first. I particularly like the sweetheart top and cigarette pants. First book I've seen with a combination of woven and knit patterns. Well done!!! Congrats on the results of all your hard work! Can't wait for mine to arrive. Same here! I'm too impatient for this. YAY!! 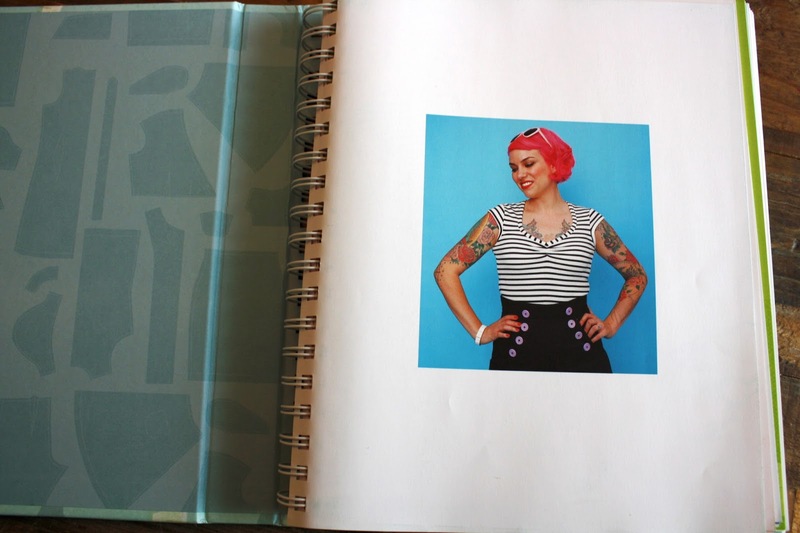 Thanks Gertie for all your hard work, the book looks amazing and I can't WAIT to get a copy and get cracking! I love your first book and as others have said, I use it all the time, not just to make up the patterns (though of course I have!) 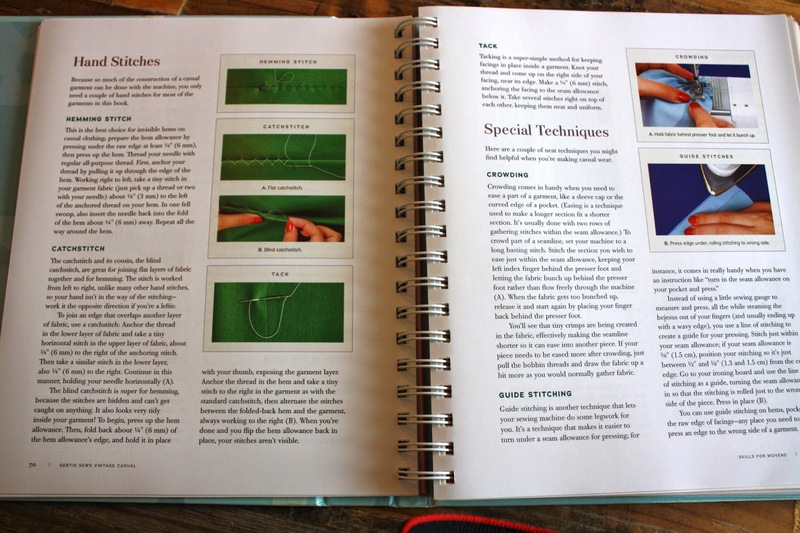 but as a reference book for techniques too. The world just got shinier! I ordered my copy from Amazon on 30 Aug and expect it after 20 Sept. After seeing your preview with pics and explaining that it comes with patterns I am even more excited. I can't wait. I can't wait I can't wait I can't wait!!!! I loved your last book and this one looks to be as wonderful as the last one! thank you, can't wait to get mine. Although the clothes from your first book are more my cup of tea, I can't way to lay my hands on this one as well. I've missed your blogging; but I can understand that you've been crazy busy with everything about this book! Well done again - read right through it last night and it's definitely got loads of potential for cheering up my everyday wardrobe (badly needed...). The sailor blouse is ACE!! Thanks for all you hard work (again), I'll be using this book as much as your first!!! Wow! This book looks so exciting!!! I can't wait to see it! What I love most is that you've chosen to use a variety of models with different figures to showcase the clothes. It helps the patterns appear more wearable, and everyday wearables is what this book is all about, right? Congratulations on the completion of this ambitious project. 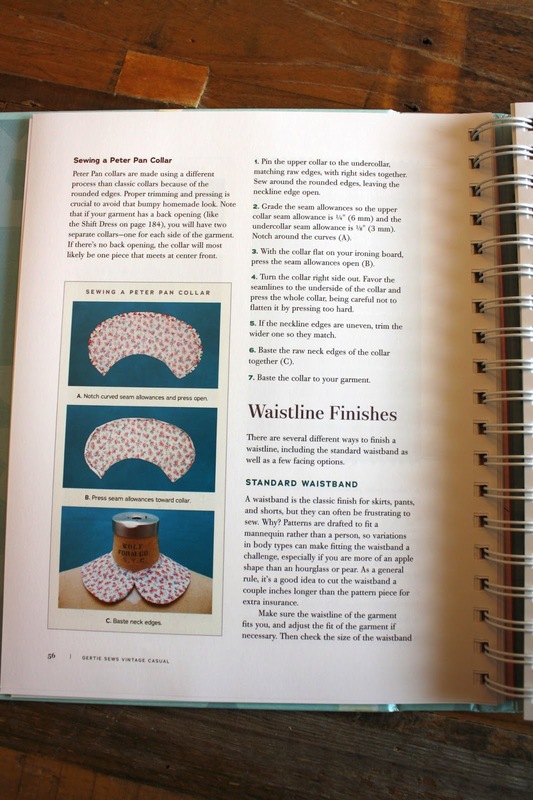 This is a wonderful book, Gertie, I can't wait to start sewing from it. Thank you very much! Can't wait for the book to come out! Thanks to your blog, I found out about 'Vogue's New Book for Better Sewing,' and have now collected 4 of the patterns from the book to make. I'm now looking to locate the rest of the patterns. 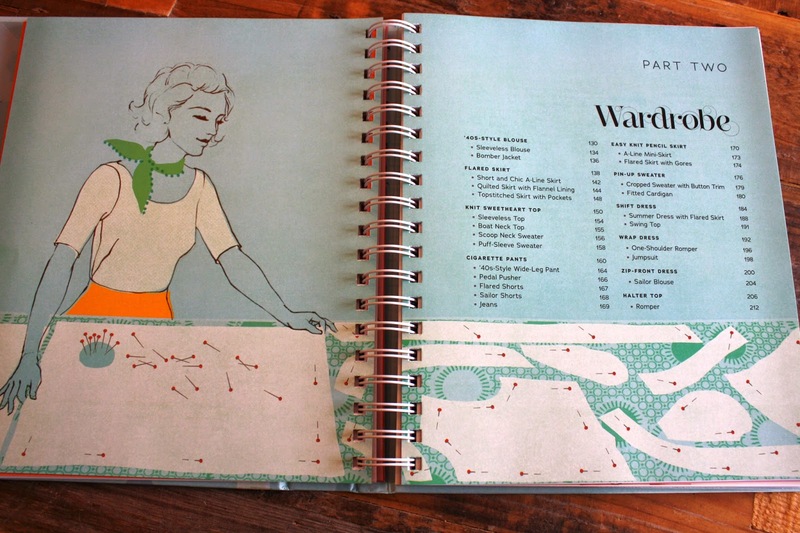 Do you have any links for vintage pattern sellers outside of etsy and ebay that may have these patterns? Thanks! That looks awesome! Is the gingham jacket you're wearing with the topstitched skirt also included in the patterns? i received mine weeks ago! i am super excited about it! 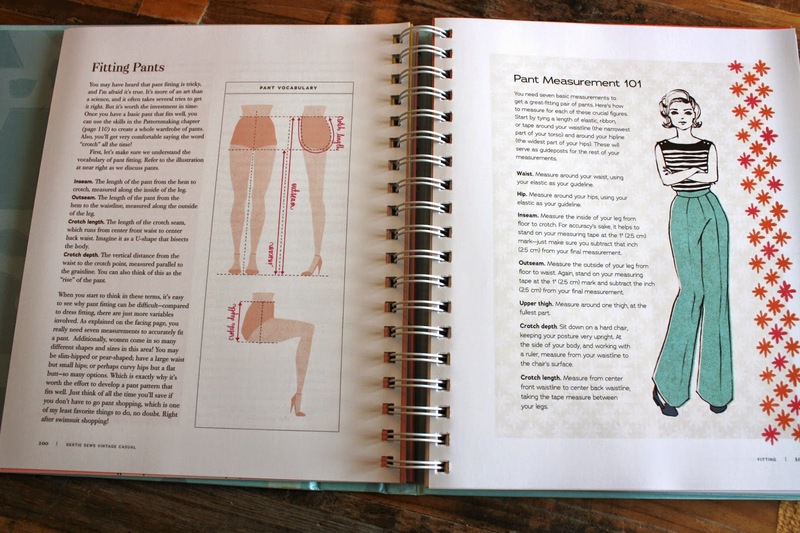 lots of new techniques (compared to your first book) and patterns that really are for everyday wear (i am dying to try the cigarette pants) and the book is also just so lovely to look at with all the pretty illustrations... also: great to see the garments on girls of diffrent sizes. altough i loved how you were you own model too ;) cannot wait to see what is next up for you! 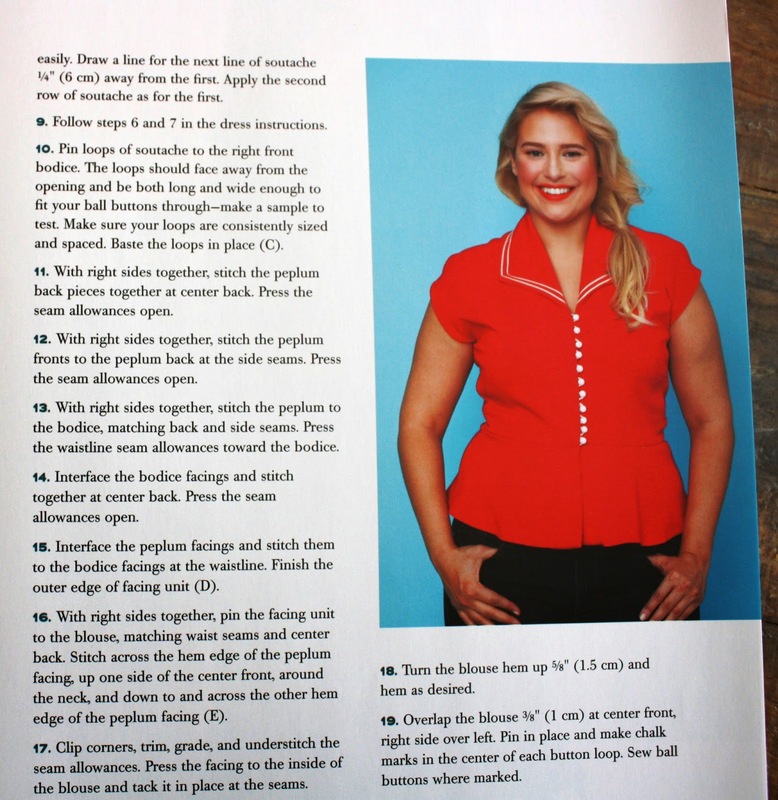 Can someone who's received the book post the size range (bust/hips in cm or in) for the included patterns? Another great book Gertie, thank you for all your hard work and great insight! My preordered copy shipped yesterday - hooray! Thanks and congratulations, Gertie! My copy arrived yesterday and I'm so excited to try out some of the patterns! I love that you used different models too! Wooo hooo! My copy arrived today all the way from England to New Zealand. I am so excited by the projects and with all of the garments I want to make from it, I'll be busy sewing until your next book comes out (already hopeful). There's a cardigan!!!! How cute is the snowflake knit !??? The great thing is that you can mix and match a whole wardrobe from one book, and if you want a bit of glamour, add some pieces from the first book. I'm very excited to add this book to my collection. 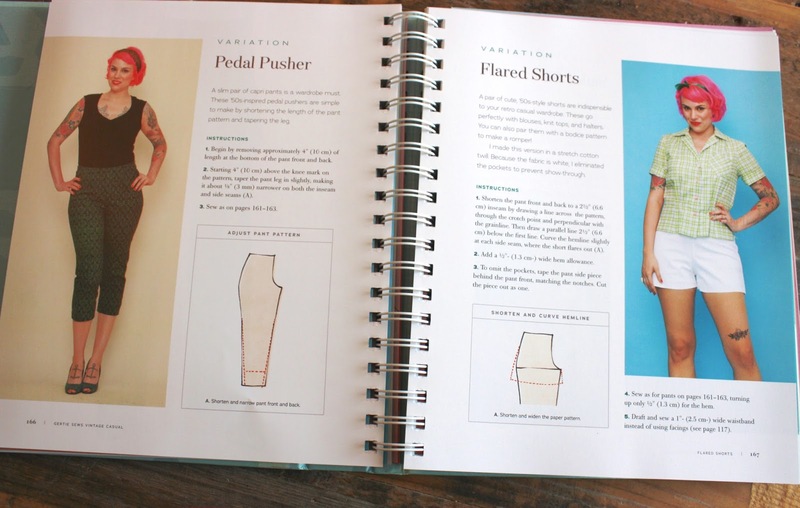 2015 sewing will prove to be a challenge as I work on perfecting my sewing with both your books. Congrats on the new book! I got it on Tuesday (Amazon pre-order!!) and have been reading it cover to cover. I'm having a hard time deciding what to make 1st! I want to dive in to the halter and am thinking about treating myself to a Fabulous Fit dress form, since I have been saving my pennies. And maybe a pair of Bass Weguns for good measure. :) Cheers!!!! ps - if you have any thoughts/feelings on the FF dress form, I'd love to hear them.